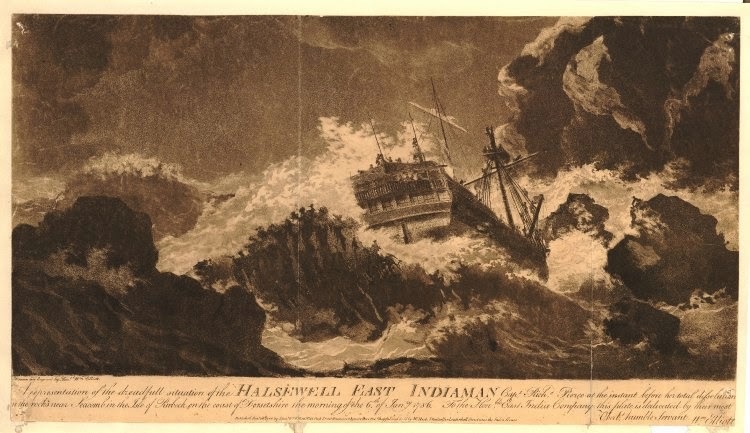 On January 6, 1786, Halsewell wrecked. The Halsewell was a full rigged ship, nearly 140 feet in length. At nearly ten years old, she was a veteran merchant vessel with voyages ranging across the globe. But it was not on some distant shore that she met her end. Heavy storms in the English Channel gave her a beating. Her masts were torn from the ship, and she was pushed aground. 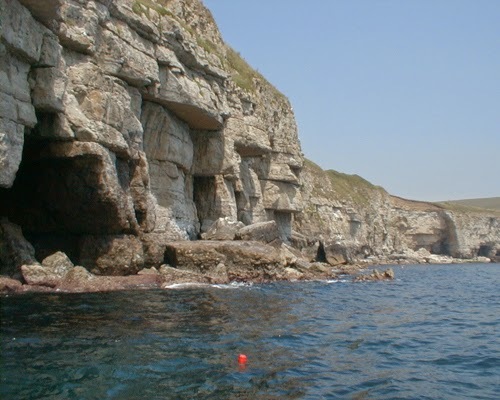 Colliding with a tall cliff on the Dorset coast, the ship was battered between sea and shore until the vessel was shattered to pieces. Over 160 of her 240 passengers and crew died. The wreck of the Halsewell had enormous power in the cultural mind of late eighteenth and early nineteenth century Britain. Poems were written and portraits printed to celebrate Captain Richard Pierce, master of the Halsewell. Music was composed to carry the drama of the wreck across Britain. Most importantly for the purposes of this blog, numerous artistic pieces were drawn, painted, and printed to commemorate the loss. Such a cluster of images, all of which depicted the same ship and the same crew, sheds some light on what the appearance of sailors in a ship's company was thought to be by various artists throughout Britain. Over the next few days, we'll be examining several prints of the Halsewell tragedy.